Increase your advertising potential during these times of high competition by having your business details and company logo embroidered onto our Jacket Freebies. Then kit your staff out in them to stay advertised. 1 X 1 Rib Knit Cuffs And Bottom. Two Way Main Zipper And Removable Inside Fur Collar. Lining Of 100% Polyester. 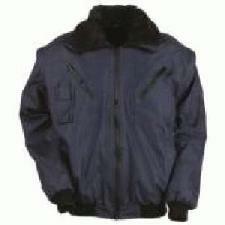 Removable Fur Lining Of 100% Polyester. To find out more about our Jacket Freebies click here and fill in the contact form and we'll get straight back to you. Other promotional and personalised items besides our Jacket Freebies click here.